Let's have a good ol' satdee summer arvo sing-along at the Retreat. Beers and sunshine, oh and some nice tunes too ay. 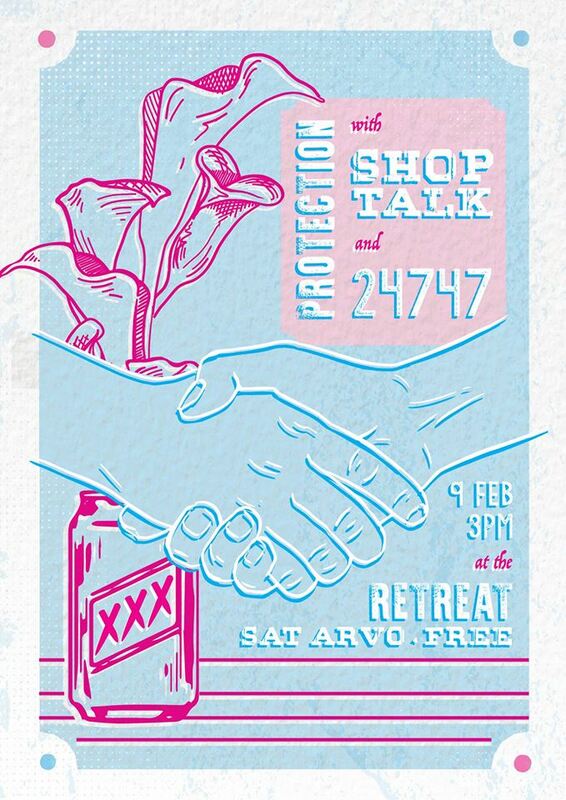 Protection will play you some of their "Cure-gazi"- esque post-punk, while SHOP TALK will have you swooning away to their angelic harmonies and 24747 (Brodie of Flyying Colours) will whisk you away on his aeroplane themed loop song-sations. kickin' off at 3pm, 9th Feb, see ya's there.